AR Rahman was supposed to do the music for Neethane En Ponvasantham, the trilingual directed by Gautham Menon and starring Jiiva and Samantha in the Tamil version. 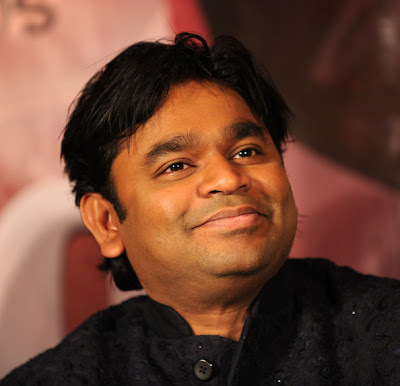 However, things have not worked out as AR Rahman is a very busy man nowadays and in demand across the globe. So Harris Jeyaraj will team up once again with Gautham Menon for this film. They have a great track record with super hits like Vaaranam Aayiram, Kaakha Kaakha, Minnale etc. Fans of the duo will be thrilled to hear this news once it is made official. Meanwhile, AR Rahman has promised to do Yohan Adhyayam Ondru for Gautham Menon. Releasing singles has become quite the trend nowadays. The latest to join the bandwagon is Vettai, the Lingusamy film produced by UTV. Yuvan Shankar Raja has done the score for this film. The song Papparappa will be released on December 12th in an official function. Radio Mirchi will be the first to air it and then the song will be released on YouTube. Madhavan has said that the song will recapture the magic of Theradi Veedhiyil from Run which was also directed by Lingusamy and went on to become a super hit. The video will feature Madhavan, Arya, Sameera Reddy and Amala Paul. 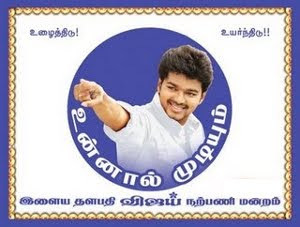 Following 'Velayudham', Vijay's fever continues with Nanban and it's gonna be bigger and greater now. The reason is that it carries such big brands like Gemini Film Circuit, Shankar, Harris Jayaraj, Jeeva, Ileana and more. It has been planned to conduct the audio launch of this film in a grand manner on December 14th at Nehru Stadium. It is also understood that Aamir Khan who had donned the lead role in the film Three Idiots will participate in this function. Similarly the director of the film Rajkumar Hirani will also participate in this function. The audio CD of this film is being released on 14th December and the film is being released worldwide on 14thJanuary. The Tamil film Thiruttu Payale which had Jeevan and Sonia in the lead roles was directed by Susi Ganeshan. He had decided to remake this film in Hindi. Neil Nithin Mukesh is donning the lead role in this film. It was earlier mentioned that Richa Gangopadhyay would be signed up for the role enacted by Sonia Agarwal in female lead character. But now she has backed off from the film saying that it's mainly due to call sheet issues. Says Richa: "Initially I was happy to take up the project but 'scheduling' turned out to be a major constraint. I have been working in couple of Telugu projects and I wasn't sure whether I can make up for a continuous shooting schedule of 30-days."